Book DescriptionThe c3 Sicilian is a logical and sensible way of meeting Black's most popular defence to 1 e4. With his second move White sets about constructing a strong pawn centre and cleverly sidesteps the labyrinth of opening theory associated with open Sicilians. Positions that are reached can be either tactical or positional in nature, and the c3 Sicilian particularly appeals to players who enjoy open positions with active piece play and clear objectives for both sides. 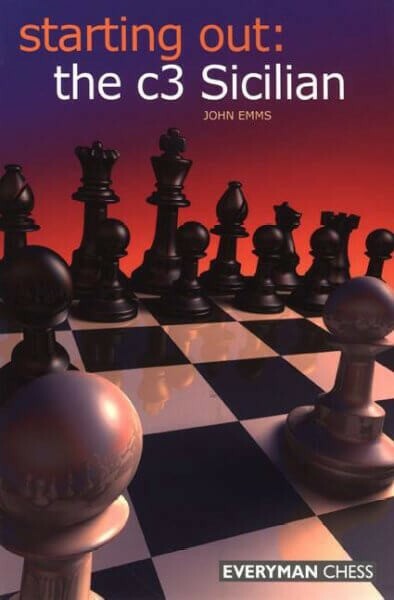 In this book, c3 Sicilian expert John Emms goes back to basics: he explains in depth the reasoning behind the critical early moves - something that is often neglected - and uses instructive games to demonstrate key plans for both White and Black. Everyman Chess's Starting Out series has firmly established itself as the leading guide to studying openings for up-and-coming players. These books are distinguished by their easy-to-read layout, the lucid explanations of the fundamentals, and the abundance of notes, tips and warnings to help the reader absorb vital ideas. Starting Out opening books are ideal for enthusiastic chess players who have little experience of the openings in question and who wish to appreciate the essential principles behind them.